While everyone else is tackling their child's massive Christmas list, I am just beginning to work on Kaden's birthday list. As much as I tried to bargain with him to soak a few more weeks in the womb until January, he insisted on coming into the world on Christmas Eve. Merry Christmas to us, huh?! He has indeed been the greatest present. My life has taken a few turns that I never expected it would ever take. He keeps everyone on their toes, brings a fresh perspective to conversation, and of course, likes STUFF! Tons of it. I'm talking Transformers, Wii games, Legos, books, puzzles, and anything sports related. Well, I think I have finally found (or have been given) the greatest experience for Kaden's birthday, and it is not on his list...The Harlem Globetrotters. Now, I don't know about you, but I have always wanted to see the Harlem Globetrotters (how does everything magically become about me...perhaps I miss my childhood). It takes an extreme amount of talent, passion, and dedication to perform tricks and display athleticism as these guys do. Kaden will be amazed by this show, and it helps that he has begun basketball season too. 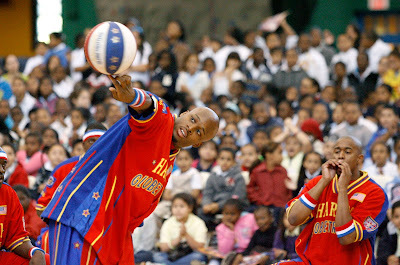 We have been given the wonderful opportunity to experience the Harlem Globetrotters in their 84th season for the 2010 U.S. “Magical Memories” tour, which is slated to begin on December 26th in Baltimore, MD. This tour will continue through May 2, 2010, and will visit a total of 216 cities. 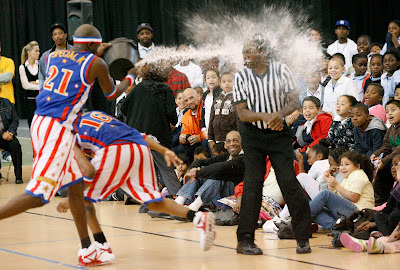 At each stop, the Globetrotters are scheduled to play their arch-rivals, the Washington Generals. Whew, that's a lot of ball-playing! Not only are we going to the show (thanks to the Harlem Globetrotters and Coyne Public Relations), but Kaden can also bring along a few friends and meet the players. We are going to have a BALL...you get it, BALL, like basketBALL. Okay, so I'm cheesy, but I'll wear this title proudly in exchange for the smile on Kaden's face when I tell him the big news. Let's just say this makes the countdown to his birthday even more exciting. Please visit my blog for a follow-up post including pictures and details about our experience with the Harlem Globetrotters. The Globetrotters are offering a $7 discount for each ticket purchased*. 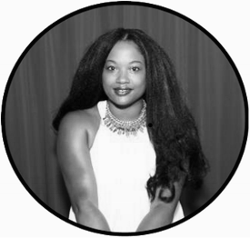 Ticket prices do vary slightly at the various arenas, but they typically average $25 each, thus allowing a family of four to save $28 in total. Readers can simply visit www.harlemglobetrotters.com, to locate a game in their area and purchase tickets using the promotional code: HGMOM to redeem the offer. Disclosure: I was not compensated for this post. The Harlem Globetrotters have provided me with information and tickets (free of charge) through Coyne Public Relations.